Orbis Interactive are experienced digital marketing professionals based in Wirral, with a proven track record competing in some of the UK’s most competitive markets. 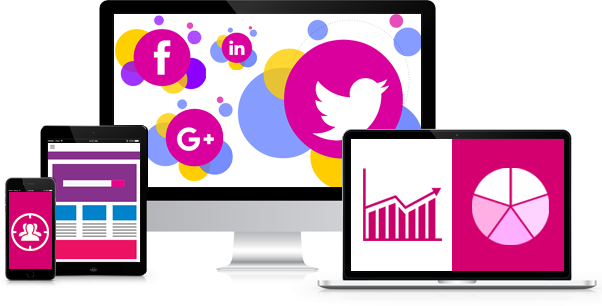 We offer a multi-channel approach to digital marketing and we’ll work alongside you to build your brand and online presence through a range of digital marketing channels. Unlike many other agencies, we won’t just sell you a specific service; we work with you as an extended member of your team and we’ll respond to the needs of your business. Whether it is through email marketing, SEO, PPC, social media, or content marketing, we’ll review things monthly, look at the bigger picture and formulate a list of action points and a strategy for the following month. Our approach to digital marketing is very much about building and reinforcing consumer confidence in your brand. Gathering feedback from your customers can be critical to driving your business forward. We can help you understand your needs and the needs of your customers by formulating a strategy to gather reviews and feedback from your customers to boost your online PR. Looking for freelance digital marketing services? Depending on the nature of your business, Social Media can be one of the most effective methods of pushing brand awareness and getting your products in front of new customers. Social Media marketing services are most effective when executed as part of a wider content marketing strategy. We can work with you to understand your target audience demographic and devise a content marketing strategy aimed at building your audience and awareness of your brand through many different social media channels. Email marketing is one of the most effective methods of remarketing your products and services with customers who have already interacted with your website. The two biggest barriers to email marketing is building a mailing list and ensuring your customers stay subscribed. We can help you profile your customers, devise a strategy for building your mailing list, and create and distribute targeted email marketing to delivering key messages to the key customers, and minimise the risk of them opting out. Content Marketing is a strategic approach to online marketing based around creating and sharing material online. Content marketing is essential to any modern SEO strategy and encorporates videos, blogs and social media posts to promote 'valuable' information that consumers will want to read. Great quality content can really help you stand out from your competitors and we can devise a strategy to help you establish yourself as a market leader in your field.